SAT and ACT resources from New York's Best SAT Tutor - The SAT and ACT tutor with the highest average score improvement of any class, tutor, or program in the country. Below are some of my favorite SAT resources for New York parents - please feel free to browse, to give me feedback, or to make suggestions for additional resources that I should add! 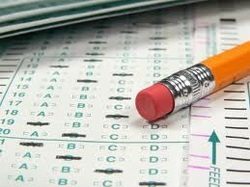 You can find a free printable online exam complete with grading instructions. Thank the College Board for this one! 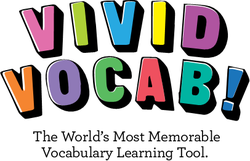 Vivid Vocab: The Best Way to Learn SAT Vocabulary Words! My new business, Test Prep Authority, has worked for nearly a year to bring you Vivid Vocab! Our new vocabulary learning software uses mnemonic devices, stories, and multi-sensory experiences to leave our users with permanent memories of the most common SAT vocabulary words. Rather than using boring flashcards, students can use our SAT Vocabulary learning software to vastly improve their vocabularies in incredibly short periods of time. Click the image to the left or the link below to try a free trial and see what it's all about! 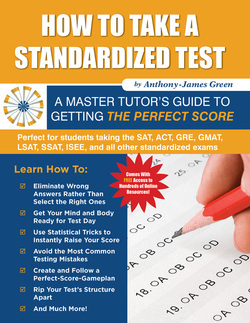 I'm the author of multiple books on the SAT and standardized testing. I'll be publishing 3 more books in the next 2 months - sign up for my mailing list at TestPrepAuthority.com on any page within the site to be alerted and receive discounts when they're published! Check out my new website, TestPrepAuthority.com! If you have a son or daughter who needs to gain admission to New York City's most competitive private schools, I can’t recommend seasoned school advisor Emily Glickman highly enough. Her NYC private schools blog, Abacus Mom, and her NYC educational consulting site, Abacus Guide, are chock-full of information to gain entry to New York City's best private schools. Swing by to get school evaluations and contact info, tips on applications, ISEE and SSAT prep, and much more!